Alright, so you know your body type and the 3 principles of building muscle. Now it’s time to apply that information to real life. 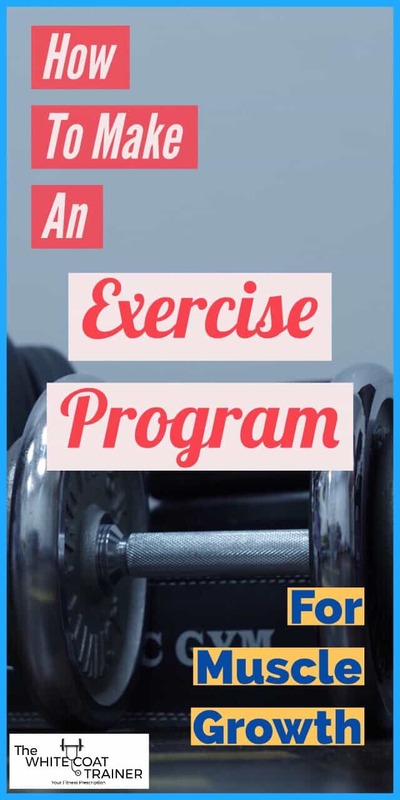 In this post, we will talk about what you need to include in your gym workout to maximize your results. These are the strategies that I have used to add over 25 lbs of muscle to my frame, and almost triple my strength. Welcome to the third installment of the WCT Muscle Building Series, where we teach you what you need to know to build muscle and gain control of your life. In Part 1 , How to Build Muscle Naturally Using Scientifically Proven Methods we discuss the three things you need to do to build muscle. If you don’t do these three things, then you are simply wasting your time. In Part 2, What’s Your Body Type? [Ectomorph, Mesomorph, Endomorph]? we discuss the three different body types, and how each one builds muscle differently. We highly recommend that you determine which body type you are before you read this post. We have a lot to cover so let’s get started right away. The first thing that you need to include in your workout plan is hypertrophy training. Hypertrophy training refers to exercising specifically for muscular growth. Don’t forget, this doesn’t mean getting bulky- all it means is that your muscles are becoming more developed! Why Should You Train For Hypertrophy? Hypertrophy causes your muscle fibers to grow in size. More muscle size means more metabolically active tissue. More size means more fat burning potential. More size means more potential strength and athleticism. How Often Should You Train For Hypertrophy? I recommend that you train in the Hypertrophy range for most of your early training career. At least 2/3rds of your exercise programming should be dedicated to hypertrophy. In All Fitness Training Programs Need To Include These 3 Things we discuss the optimal rep ranges for Hypertrophy training, but here’s what you need to know. Performing 7-12 repetitions per set have been shown to be the most conducive to muscular growth. When it comes to sets, 3 is generally a good place to start. 3 sets of 7-12 reps equate to a total of 21-36 repetitions per exercise per day. Since we recommend that you train each major movement pattern twice a week, you’ll be doing 42-72 total reps, per muscle group, per week. 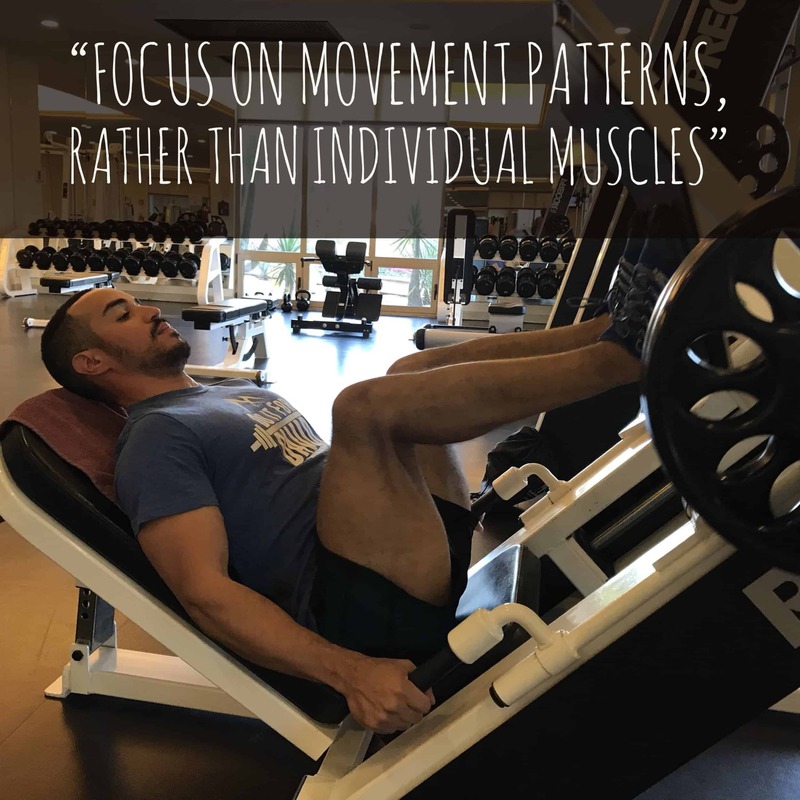 It is extremely important that you focus on movement patterns, rather than individual muscles. Movement patterns represent compound exercises, and these hit multiple muscle groups simultaneously. 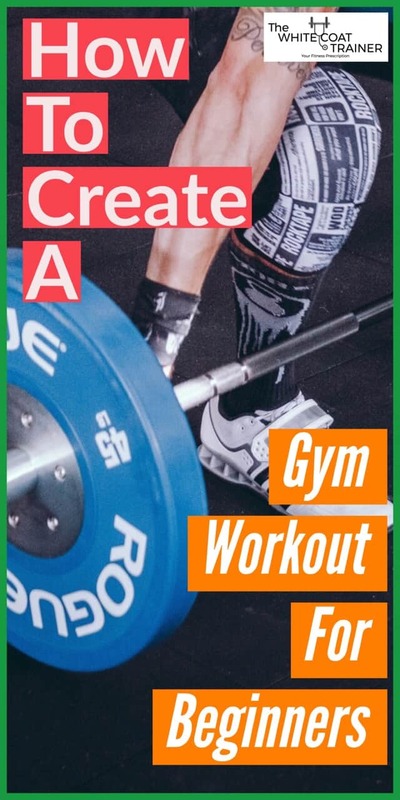 That is a total of 9 sets and 90 repetitions of Quadriceps Work per week, WITH the added bonus of hitting your glutes and your hamstrings for 9 sets indirectly as well. It’s also important to note that different movement patterns may respond better to more or less volume what I have described above. For me, my lower body responds better to higher volume in the form of a higher number of repetitions and multiple sets, whereas my upper body tends to respond better to a lower number of repetitions per set. Everyone is different, therefore it is important to experiment and see which range works best for each of the Big 6 Movement Patterns. The second thing your gym workout routine needs to include is strength. It’s important to note that size and strength are not the same thing. One person can have large muscles and be moderately strong, whereas someone else can have medium sized muscles and be very strong. It all depends on how you decide to train. Strength training is different from hypertrophy in that it requires you to lift heavier weights. Train your central nervous system to recruit more neural motor units to lift more weight. This is why strength is different from size. Stronger muscles will also let you break through plateaus you may experience during hypertrophy training, which inevitably happens if you only train in the 7-12 rep range. Lastly, you never know when you may have to save someone who is pinned under a car. In All Fitness Training Programs Need To Include These 3 Things, we discuss that the optimal rep range for strength is 4-6 repetitions per set. Because the load on the bar increases, the repetitions per set decreases. However, the total volume should only be slightly less when compared to Hypertrophy training. This means that strength training often requires more sets than hypertrophy training. Either way, the weight needs to be challenging. How heavy should the weight be? The weights should be at least 80% of your one rep max. Your one rep max is the most weight that you can lift for one repetition with good technique. For example, let’s say you can squat 200 lbs for one max rep. In order to be at 80%, most of your volume should be done with weights of 160 lbs or more for sets of 4-6 repetitions. It’s not always possible to know what your one rep max is (especially if you are relatively new to lifting). For experienced lifters, it is Ok to use estimations. It is important to note that the really heavy weights should be reserved for experienced lifters who have developed great technique on the various lifts. Use your judgment. If you cannot maintain good form when performing the exercise, it’s probably a good idea to decrease the weight. In total, you should perform around 12-24 repetitions per exercise, per day when training for strength. Again, each major movement pattern should be trained ~twice a week, totaling 24-48 total reps per week. If you aren’t an experienced lifter (at least 2-3 years of consistent exercising), you should spend no more than 1/3rd of your training on strength. The more experienced you are, the more strength training you can and should do. In addition, I must emphasize that you should always listen to your body. Never train through pain, and do not ignore aches and pains that do not go away with conservative treatment. These guidelines are especially true for ectomorphs. How strong should you be? Check out our realistic strength standards for the everyday person. Now that you have an idea for the appropriate amount of training volume you need for muscular size and strength, let’s talk about long-term progress. As we discussed in Part 1, the training stimulus must be progressive or increasing over time. 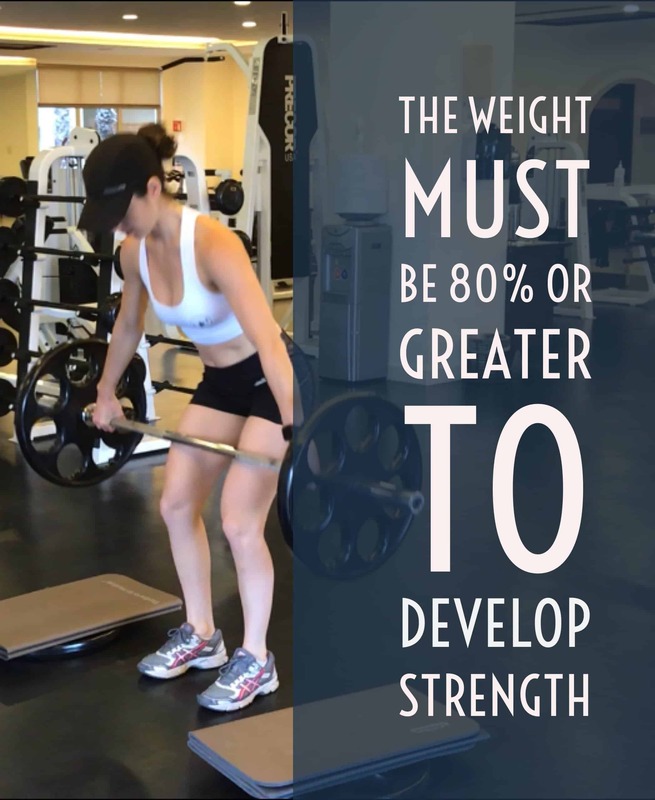 The easiest way to do this is to increase the weight you are lifting over time, or to increase the repetitions you are doing at a particular weight over time. In short, you must do a little bit more than you did before. Obviously, this cannot go on forever. If you try to do this continuously, your body will plateau, or you will get injured. So how do we bypass this? The easiest way to circumvent this problem is to keep rotating the exercises that you are performing. That is why we are such strong advocates of having many different variations of the same exercises in your tool belt. Constantly doing the same exercise over and over with increasing weights or increasing reps will lead to overuse injuries and pain. Focus only on 1-2 variations of an exercise at a time, and then switch them every 8-12 weeks. By rotating the exercises, you are training your muscles in different ways and forcing them to adapt to new stimuli every 2-3 months. You build better overall strength and keep your training fun and engaging. Keep track of your progress for every exercise in a journal or electronic notepad. Every time you return to a variation you have previously done, compare your new levels of strength to where you were before. Get stronger in every variation possible. Keep the long-term picture in mind. There are a lot of misconceptions out there regarding the best ways to use resistance training to build muscle. One of the most common misconceptions about building muscle is that each one of your muscle groups needs to be trained individually. This is when you see people training Chest on Monday, Back on Tuesday, Arms on Wednesday, Legs on Friday etc. As we discussed in 3 Essential Principles of Exercise Routines, isolation exercises are not the best way to build muscle mass. You simply cannot stimulate your muscles enough when you train them one at a time. We occasionally do isolation exercises, but they only constitute a minority of our exercise selection. When performing compound movements, you don’t need to do a lot of exercises nor train your muscles until exhaustion. If you train correctly, (using large compound exercises for most of your training) then you do not have to spend a long time exercising. Compound exercises always give you the biggest bang for your buck. They allow you to lift heavier weights then you could with isolation exercises, and stimulate your muscles a lot faster. As a result, you don’t need to do endless sets and reps. In short, we want to stimulate our muscles, not annihilate them. Check out 9 Simple Ways to Shorten Your Workout and Spend Less Time in the Gym to learn other ways to maximize your training time. Another common misconception is that lifting weights will get you bulky. If I had a dollar for every time I’ve heard a woman (and some men) say that she doesn’t want to lift weights because she doesn’t want to get bulky, my student loans would be paid off. Gaining any noticeable muscle mass is extremely difficult. Most men will never get bulky, even if they tried. If all you had to do was lift weights to get really muscular, everyone would be jacked. You generally don’t have high enough levels of testosterone to get large muscles. The women who are “bulky” lift for a living, and center most things in their lives around exercise. Ok, so now that we have those out of the way, let’s get to the meat and potatoes. Now that we have covered all of the important topics related to gym workouts, you can go and check out the WCT Strength Program For Busy Professionals. It is a ready-made 15-week training template that uses all of the principles laid out in this article and more. The workouts are designed to be completed in 30-35 minutes a day. Any health and fitness professional would agree that improving your lean muscle mass percentage is extremely beneficial for just about everyone. In order to reap the maximum benefit of your exercise program, it is ideal to increase your muscular size and your muscular strength. Both can be obtained by using the right number of sets and reps in your exercise program. Lastly, do not forget the importance of being well rounded. Rotate the exercises you include in your training every 2-3 months while still improving all 6 movement patterns. So there you have it. You are now armed with the most powerful strategies to build muscle as we understand it. This information has taken us years to discover through research, experimentation, trial, and error. Don’t make any more excuses, carve out 35 minutes out of your day to exercise and build one of the best organs in your body. Have you used these strategies to gain muscle in the past? Have you primarily trained for hypertrophy or strength? Do you rotate your exercises or always keep them the same? Never seen anyone break down training for different body types. Usually the body types are only in reference to diet. I of course want both size and strength. Popular term now is "powerbuilding". Easier said than done after a few years of serious training. I really do want to hit a 405 squat next year while staying under 175. Yea I’ve noticed it on myself and others who I have trained that different body types can handle different types of training regimens. And yes, I agree with you. Power building has become very popular over the last couple of years. We are starting to learn that it is important to have both components in your training, no matter how much experience someone may have. I definitely think that you can hit 405 at 175. Usually technique is the first thing i look at when someone is struggling to gain strength. Do you feel that your squat form is solid? 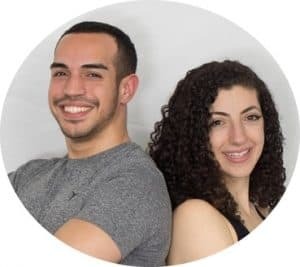 Currently I am running a hybrid program that I create for myself and my wife. It takes príncipes from all of the lifting programs that I have done or read about (including block periodization, 5/3/1, Mike Tuscherers RPE System) etc.